In 1990, the Tucson Mayor and Council and the Pima County Board of Supervisors established, through resolution, established the 34-member Metropolitan Education Commission (MEC). The MEC was the first in the United States to bring city and county government entities together with leaders from public and private schools, businesses, government, social services, and the Hispanic-Native-African-Asian-American communities, and youth to address all areas affecting the educational welfare of Tucson and Pima County Citizens. Collaborate with the many agencies that support education, by encouraging agencies to work together for the common purpose of enhancing the educational welfare of the citizens of the City of Tucson and Pima County. The Symposium was held on February 7, 2018, at the University of Arizona Student Union Ballroom, 1303 E. University Blvd. Watch the video below: Health Careers of the Future with Janet Major shown at the Key to Employment Symposium! Please donate to this great event. The Key to Employment has inspired students to pursue college, science, technology, and 21st Century STEM-related careers. Your donation allows more youth to attend and learn about hi-tech careers that are available to them. Let's show our students that they can be a part of the 21st Century. Please Send Payment to: METROPOLITAN EDUCATION COMMISSION 930 East Broadway Blvd. Tucson, AZ 85719 THANK YOU FOR YOUR SUPPORT! Since its inception in 1990, the Metropolitan Education Commission’s (MEC) Youth Advisory Council/Tucson Teen Congress (YAC/TTC) has exhibited exceptional value. Composed of middle and high school students representing public, private, charter and parochial schools across our city and county, the YAC/TTC gives youth a strong positive voice in our community. In October of 1993, the Tucson Mayor and Council and the Pima County Board of Supervisors amended the resolutions establishing the MEC to include two youth representatives on the MEC alongside community leaders. These students are chosen by the YAC/TTC to represent youth in the MEC’s decision-making process. The goals of the YAC/TTC are to provide youth/student input on policies and programs designed to improve the quality of education throughout Pima County and to engage in activities, which foster leadership, citizenship, and the best educational opportunities for all Tucson youth. The YAC/TTC has been identified and utilized as an important contributor to the City of Tucson and Pima County community organizations to increase youth civic involvement. Your Voice, Your Community, Our Future: Join the movement! For questions, contact Ed Nossem, Program Coordinator at 520-670-0055. Email completed application to: metcom@theriver.com or fax to 670-1110. The MEC’s 24th Annual Teen Town Hall will take place on Friday, October 20, 2017 at Catalina High School. Last year, 219 students from every school district in Pima County and 37 community leaders were in attendance. The Teen Town Hall, sponsored by the MEC’s Youth Advisory Council/Tucson Teen Congress, Pima County, and the City of Tucson, brings students from around Tucson and Pima County together to express their opinions and voice their concerns on any topic of their choice to elected officials, school superintendents, high school principals, law enforcement representatives, MEC Commissioners, and other community leaders. The Teen Town Hall offers youth an open opportunity to discuss any issue they have on their minds, and for community leaders to hear what is taking place in their schools, neighborhoods, and communities. We invite you to dialogue with youth, answer questions, and/or make suggestions. These events are catalysts for positive change; previous Teen Town Halls have resulted in the revision of curfew laws and the establishment of teen centers in neighborhoods where there were few opportunities for youth activities. At the MEC’s Annual Teen Town Hall, the main issues brought forth by students set the stage for topics that will be addressed with Arizona Legislators during Civic Engagement Day. Examples of issues include the loss of teachers, classes, electives, and school programs resulting from the lack of education funding; and standardized testing issues. The Youth Advisory Council/Tucson Teen Congress traveled to the Arizona State Capitol in Phoenix on March 7, 2018, and met with Arizona state legislators in order to discuss these issues. The students met with House and Senate leadership, as well as with members of the Southern Arizona Legislative Delegation. Click on the link to see photos from this year's event: http://www.kathleendreier.com/Community-Events/MEC-Civic-Engagement-Day Special thanks to Kathleen Dreier! Prepare for college: Increase awareness of college and career preparation opportunities provided by public and private elementary, middle and high schools, colleges, universities, and community programs available throughout Pima County. Pay for college: Provide information on federal and state financial aid and a listing of scholarships offered by local and national organizations. 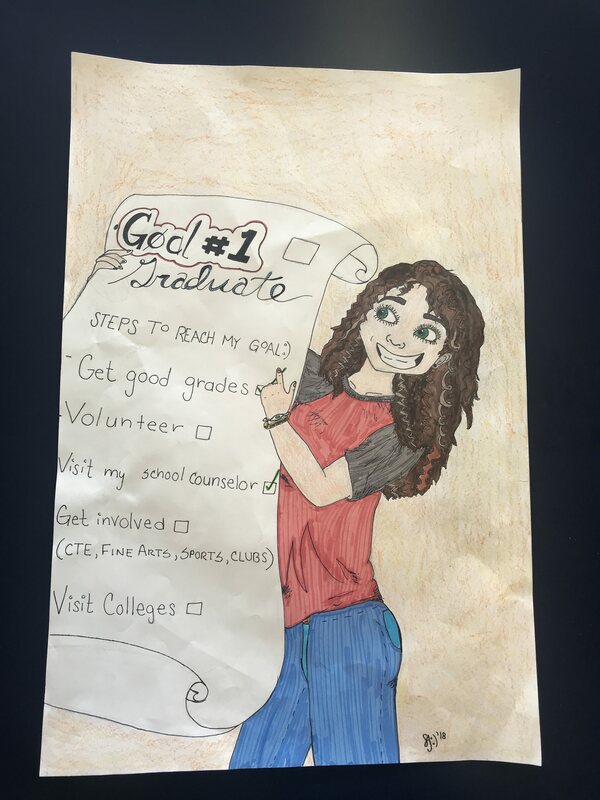 Graduate from college: Increase awareness of college and university transition and on-campus support programs designed to help students adjust to the first year in college, receive academic and social support, and guide students toward college graduation. Develop workforce skills: Facilitate the access to career preparation resources, and promote the development of a highly qualified, diverse workforce. In service of this mission, members of the RCAC work together to address the barriers related to higher education and workforce development. The RCAC serves as a coordinating and referral agency providing information on college and career preparation, financial aid and scholarship opportunities. Do you know a school counselor in Pima County that has gone above and beyond to help students stay in school or provided exceptional guidance toward college and/or a career? We want to know about them too! The Metropolitan Education Commission (MEC) is seeking nominations for the School Counselor Crystal Apple Award to be given to a K-12 school counselor who has provided exceptional support and guidance to students. Nominations will be accepted by an individual or group using the accompanying form. The nominations can be submitted along with endorsements and anything else that supports the claim that education and future planning is a top priority for this nominee. guidance toward college and/or a career? Through the Crystal Apple Awards the MEC brings the community together to support systems of education that ensure both equity and excellence. The presentation of the Crystal Apple Awards celebrates the positive collaboration within the communities of education, business, government and the general population. The Crystal Apple Awards Luncheon will take place on FRIDAY, APRIL 27, 2018 at the Desert Diamond Casino & Hotel, 7350 S. Nogales Highway, 11:30 a.m. to 1:15 p.m.
No contribution is too small in the eyes of the MEC because community recognition is a powerful tool that can educate and motivate people! Please take the time to complete this nomination form and give the MEC an opportunity to recognize a school counselor’s efforts on behalf of education in our community. Click here to fill out a nomination form! Deadline is Friday, February 23, 2018: Application nomination deadline CLOSED. The MEC's Youth Advisory Council/Tucson Teen Congress (YAC/TTC) is pleased to announce the 21st Annual Dorothy Finley Outstanding Teen Citizen Awards Honorees! The award is presented to deserving young persons who have contributed or made a difference to the community, as well as improving their own life. Ten youth are selected by their peers and acknowledged as winners of the Dorothy Finley Outstanding Teen Citizen Award. One of these ten winners is the recipient of the MEC's prestigious Crystal Apple Youth Award. The ten youth are recognized and honored by the community at the 28th Annual Crystal Apple Awards Luncheon, which will take place at the Desert Diamond Hotel & Casino on Friday, April 27, 2018. The Metropolitan Education Commission (MEC) is proud to announce that the 23rd Annual Goal One: Graduate!/Meta Numero Uno: Graduar! Poster Contest is underway! Look below for the link to the flyer for the 2018 contest, which outlines how elementary, middle and high school students can enter. One piece of artwork will be selected representing each of three educational levels. Contest prizes are: Elementary School - $100.00; Middle School - $100.00; High School - $100.00. We appreciate your help in distributing the poster contest information to potential participants as in past years. The winners will be invited to attend, and given special recognition at the Metropolitan Education Commission’s Crystal Apple Awards Luncheon, which is scheduled for FRIDAY, APRIL 27, 2018 at the Desert Diamond Hotel & Casino, 7350 S. Nogales Highway. Your continued support is greatly appreciated! PLEASE SEE THE LINK BELOW FOR CONTEST RULES AND SUBMISSION FORM. Thank You!